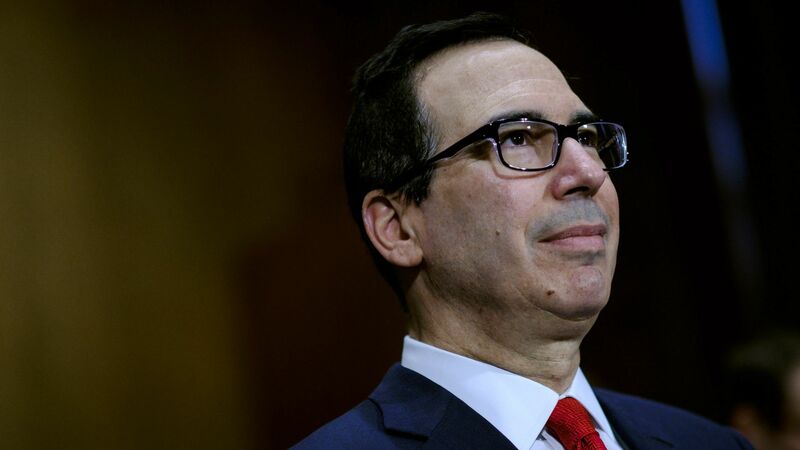 Treasury Secretary Steve Mnuchin has repeatedly said in recent days that the emerging trade compromise with China could pave the way for a $40 to $60 billion increase in annual U.S. energy exports. Why it matters: It's a "whoa if true" comment. Those estimates suggest the Trump administration believes the U.S. oil-and-gas boom could lead to a massive expansion in supplies shipped to the world's most energy-thirsty nation. The intrigue: it's not clear where those projections are coming from, and Treasury did not respond to a request for comment on Monday. In their joint statement over the weekend on wider trade talks, the U.S. and China said, "Both sides agreed on meaningful increases in United States agriculture and energy exports." But the vague statement did not contain specific targets. Nobody disagrees there's lots of room for growth in U.S. shipments to the world's largest oil crude oil importer. China also recently became the second-largest LNG importer. Overall U.S. crude and LNG exports to destinations worldwide are rising. Yes, but: Those shipments to China would have to grow a lot to match Mnuchin's claims. ClearView Energy Partners estimates that total U.S. energy exports to China in 2017 were $6.5 billion, with crude oil accounting for by far the biggest share, with smaller amounts of LNG, coal and other materials. Reuters similarly estimates that U.S. oil-and-gas exports to China were $4.3 billion. Reality check: "The '$40 or $50 billion' figure looks quite high to me, although the export of U.S. oil, gas and coal to China has room to grow," Jane Nakano, a senior fellow with the Center for Strategic and International Studies, tells Axios in an email. In addition, there had not been signs U.S. oil, gas and coal exports were going to be a casualty of the brewing trade war that U.S. and Chinese officials announced over the weekend that they agreed, for now, to head off. Brookings Institution analyst Samantha Gross said that whatever energy export increases are on tap should not be attributed to the Trump administration's negotiations with China. “I don’t think this is additive or any kind of concession to our administration’s demands,” she said in an interview Monday. “It was pretty logical that they would be looking for supply and we would be looking for demand, and that was going to happen no matter what anyone said over the last few days,” Gross said. Another factor: Prices. "If geopolitical uncertainties support higher crude prices, we could see U.S. crude exports to China resulting in a much higher figure than that from 2017," Nakano said. According to Reuters, the consultancy Energy Aspects estimates that China could import up to $11 billion of U.S. oil this year as exports rise.